On December 11, 2015, the Canadian government announced changes to the Minimum Down Payment required for home buyers. The minimum 5% downpayment requirement has been increased for properties over $500,000. Properties under $500,000 can still be bought with 5% down payment. Effective immediately (Dec 11th – Feb 14th) – new down payment rules apply when The purchase price is greater than $500,000 and the closing date is after July 1st, 2016.
the minimum down payment will remain at 5%. NO CHANGE. the minimum down payment will be 5% on the first $500,000 and 10% on the residual portion greater than $500,000, but less than 1,000,000. THE INCREASE IS ONLY ON THE AMOUNT GREATER THAN 500,000. A property with a purchase price of $600,000 will now require a total down payment of $35,000. If you as a Buyer go to your mortgage lender to get funds for a property you have purchased, and you are approved under the old rules, if for some reason you then wish to change lenders and go to a different bank or mortgage lender, the 2nd bank can use the original CMHC insurer’s approval and approve you at the original terms, but only for the same purchase property, i.e. no change of address. Click Here and enter in your email address so that I can send you helpful real estate info that you can use when you buy your next home. 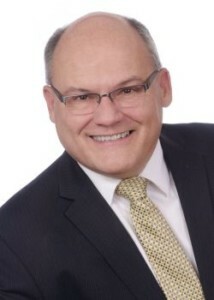 Randy Selzer is an award-winning Mississauga Real Estate Agent with substantial experience in the property market of Mississauga, Oakville, and the Greater Toronto Area.